Quick: What do; Maroon 5, a banana, Santa Clause and a Chicago sports mascot have in common? I’ll wait while you come up with something. No? Not even a guess? Let’s start with Maroon 5. Recently they shot and posted this music video which shows them putting on a surprise “secret” performance at some weddings in L.A., shocking the beegeebees out of the guests, bride and groom, and leaving everyone with a mind-blowing memory from the wedding. While I haven’t experienced anything quite on this level while shooting a wedding there have been some similar moments where someone showed up who wasn’t originally a part of the guest list. The bride and groom were behind this idea and the surprise was for the guests. What a better way to get everyone moving on the dance floor but enlist the help of your favorite fruit? Or a friend who doesn’t mind wearing a fruit outfit. This Santa was attending another event a few doors down from where the wedding was held. One of the guests asked if he would do the Christmas-spirit-type thing and grace us with his jolly ole’ self. He complied. 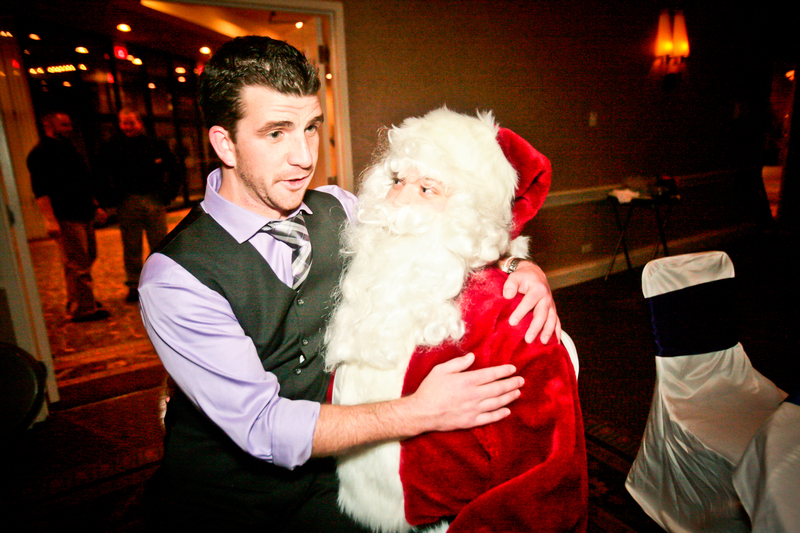 He is Santa Clause after all. And it was October. He had nothing else on the books. 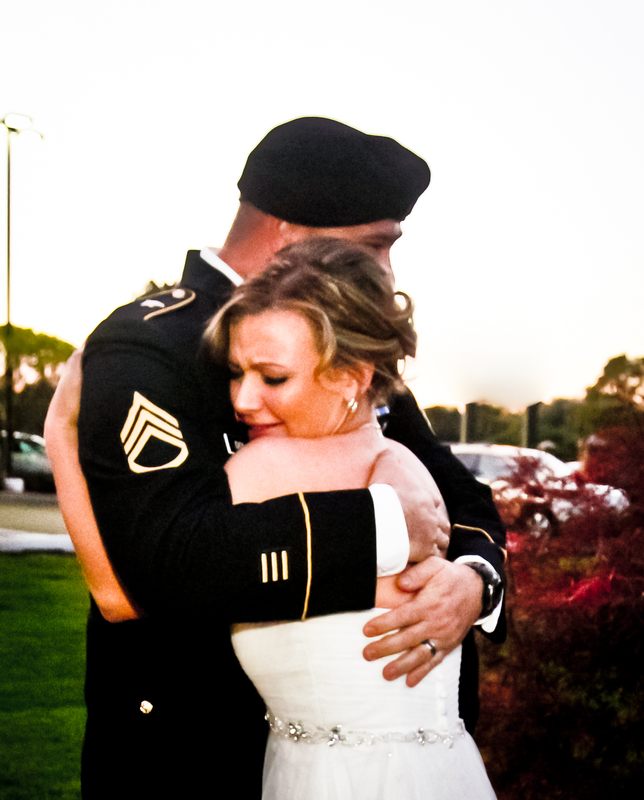 Moment 3: The surprise arrival of the bride’s uncle, a now retired Army SSG of the 101 combat aviation brigade. He was stationed at Fort Campbell in Tennessee and had originally stated he wasn’t going to make it. Moment 4: And then the most recent of the surprise appearance moments. The Surprise Appearance of Tommy Hawk. 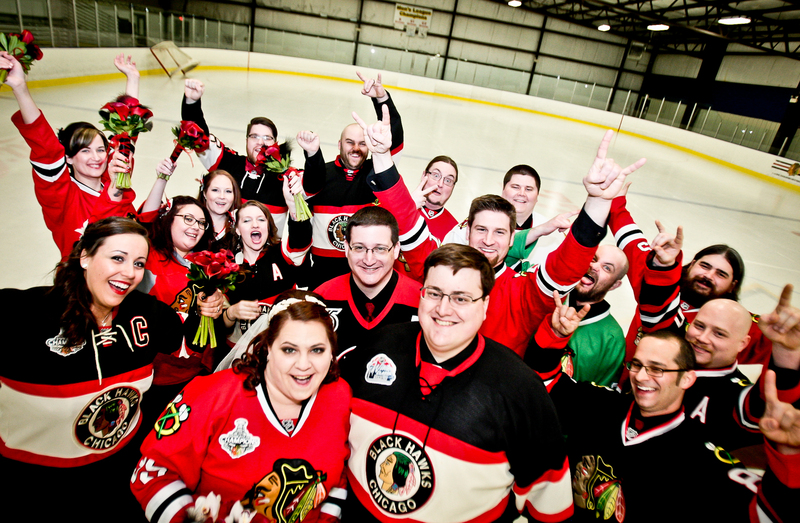 Tiffany and Bryan are huge Chicago Blackhawk hockey fans. Their wedding décor included hockey paraphernalia such as miniature hockey pucks for the table settings, hockey pucks with the guest’s names on them (I got one! They made me one! It says Photo Moxie on it!) a ginormous replica of the Stanley Cup to hold cards. Their first look photo was taken at the ice rink and the wedding party wore hockey jersey’s for some of the portraits. 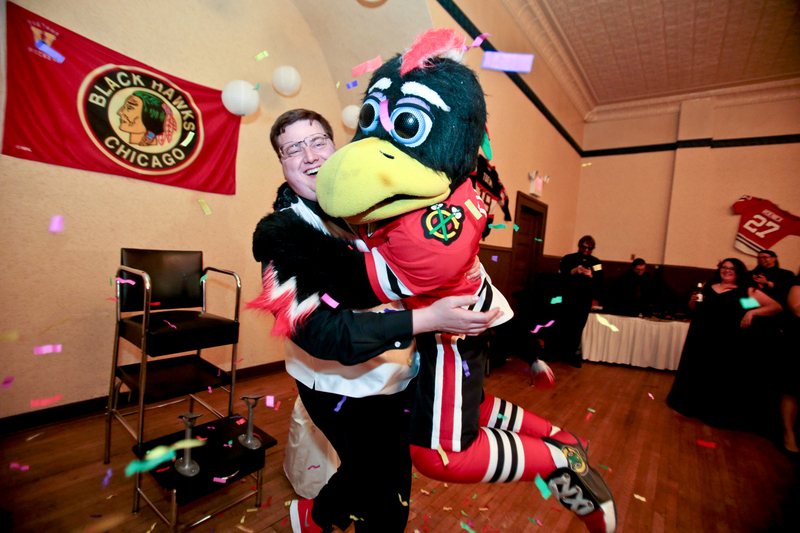 It was once the reception got rolling that I was alerted by one of the guests that there was an incoming surprise; A visit was scheduled to be made by the Blackhawk’s mascot, Tommy Hawk. There was a bit of awkwardness as I attempted to stall the couple while keeping them together, in one spot, where most of the guests would be able to see the action. Tiffany confessed she found herself crying a little more than when she was going through her own wedding ceremony. Hey, no judgment here my teary eyed friend. And public service announcement: if YOU are planning a surprise at a wedding you are attending or participating in, or crashing (although I believe that makes you the surprise guest,) it’s pretty ding dang important that you snag that photographer and give he or she a head’s up on the plan. Think about it! What a bummer to have the groom’s long-lost twin brother Constantine fly in from Rangitoto Island to surprise everyone by showing up with his wife Delia and their pet llama Fritz but NO ONE BOTHERED TO TELL THE PHOTOGRAPHER who was preoccupied by taking a photo in the next room of the wedding cake. Want that special moment to last forever? Let the photographer know. That’s what we are there for after all. 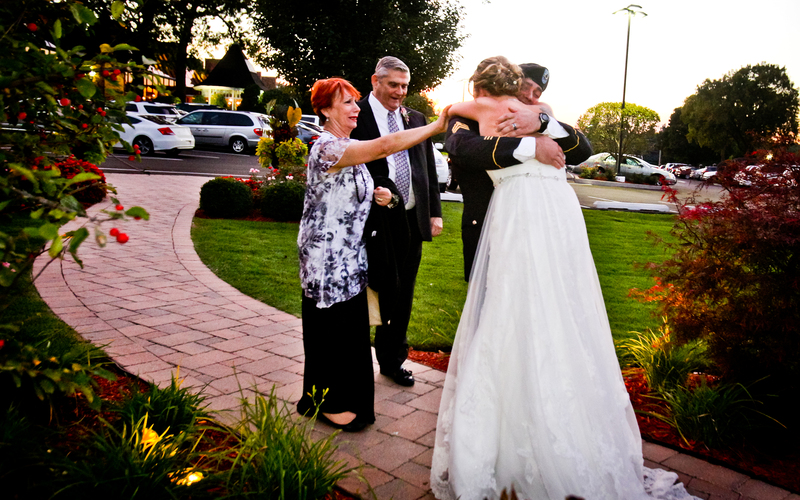 To give the bride and groom the chance to relive those surprises each time they open up that wedding album.